The patterns of the seams on a basketball show symmetries in both the left-right and top-bottom directions. Based on this, one can design a complete seam pattern based on 1/8 of the complete pattern. 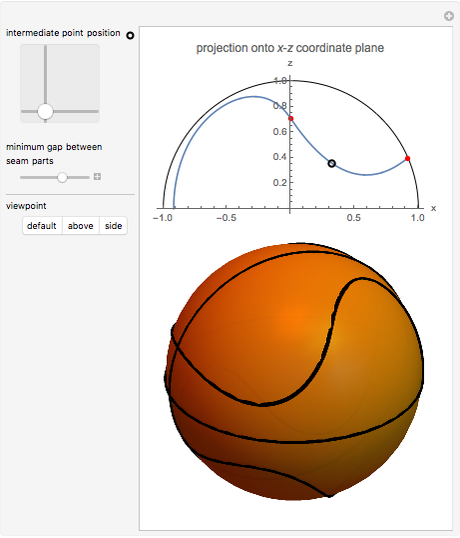 This Demonstration creates seam patterns by varying the projection in one of the coordinate planes of 1/8 of the spherical curve. Erik Mahieu "Basketball Seam Pattern Designer"